If you've ever played a Persona game, chances are you've spent a lot of time in some iteration of the Velvet Room. They play an important narrative role, being the place where each protagonist’s journey begins, and where you get to choose the name that NPCs will spend the next 100 hours camping you. On more practical terms, they're where you manage your collection of personas, and success on any but the easiest difficulties means taking time to fuse these creatures and perfect your line-up. There's a lot more to the Velvet Room, though. Persona is a series that draws heavily on the work of psychologist Carl Jung. We have Jung to thank for the very concept of personas and shadows, which form the basis of the whole Persona mythos. Persona 4 went a step further with dungeons that are physical manifestations of characters psyches, exaggerations of their unconscious selves, be explored, challenged, and reconciled - a fantastical adaptation of the process of individuation. The Velvet Room has a similarly Jungian basis. At the most basic level, you can think of the Velvet Room as a representation of the protagonist’s unconscious mind. In the words of the room’s attendees, it's a place that exists “between dreams and reality”. In here, we get some hint at the personality of main characters who otherwise tend to be fairly silent and player-directed. 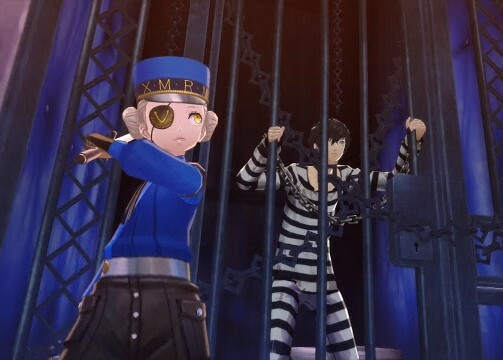 The metaphor is most obvious in Persona 5, where the Velvet Room takes the form of a prison. It's thematically appropriate for a game about rebellion and vigilante justice, but more importantly, it's a place where we see the Joker’s true feelings. He feels imprisoned by a society where he's labeled an outcast, and where seniority seems to matter more than truth or justice. He's isolated and trapped. 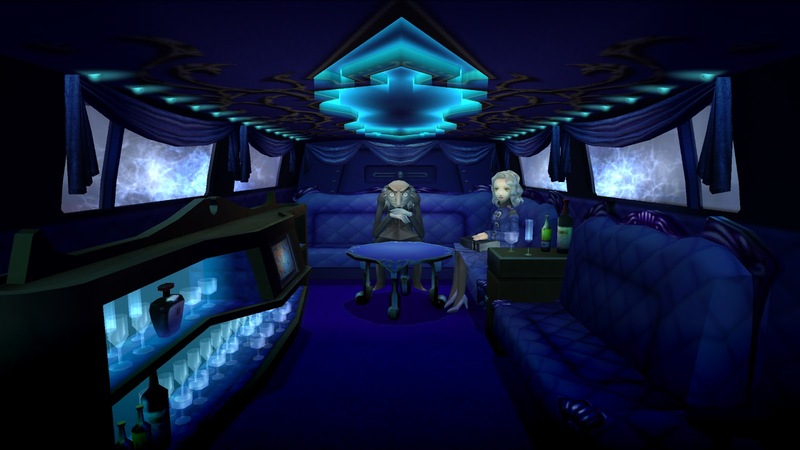 In Persona 4, the Velvet Room is the inside of a limousine driving aimlessly around in the fog. Yu Narukami is a kid who travels a lot do his parents’ work, and as a result of that he struggles to find a place to belong. Friendship is important to him – it’s his main motivation throughout much of the game – but because of his frequent relocation, he struggles to form long-lasting bonds. He’s constantly moving, but doesn’t know where he’s going. Even the side games, where the Velvet Room doesn’t play such a key role, it shows some aspect of the unconscious mind of the characters in focus. Persona 4: Dancing All Night’s main character – though not the player character – is Kanami Mashita, a famous idol struggling with an inferiority complex and imposter syndrome. The Velvet Room isn’t explicitly hers, as it is for player characters in the main games, but it’s nonetheless a metaphor for her situation: it’s a nightclub, a place where entertainment is paramount, where people are always trying to one-up another, and where people hide their real selves behind a projection of confidence. The Velvet Room plays another important role, and this is where Jung really takes hold: it’s a place through which Persona’s main characters work towards individuation. According to Jung, individuation is the process the conscious and the various aspects of the unconscious into one whole, unified being. That means understanding and accepting our shadows (itself a key theme in Persona 4 as a whole), the personas that we wear, and so on. The personal unconscious is born of the interaction between the collective unconscious and our personal growth. Our environment and life events bring these archetypes to the surface, where they form part of our identity. Not everything will reach a conscious level, a plenty of stuff will be forgotten or repressed, but it’s all there, at the border between personal consciousness and the collective unconconscious. You can think of the personal unconscious as being like your own home in a city, or your room in a dorm. It’s a piece of a bigger picture, influenced by everything around it, but it’s also your space – your own interpretation of that place. Or, to use a more game-relevant example, the Midnight Channel in Persona 4 is the collective unconscious, and each character’s dungeon is their personal unconscious. Individuation, then, is the process of bridging all these gaps. It’s getting to know your slice of the Midnight Channel, acquainting yourself with your persona and your shadow, reconciling the psychic conflict between all these different facets of your personality, and getting to know yourself as a whole, complete individual, as well as your place in the world. What does this all have to do with Persona? The Velvet Room is the place where this abstract, theoretical concept is turned into a game mechanic. 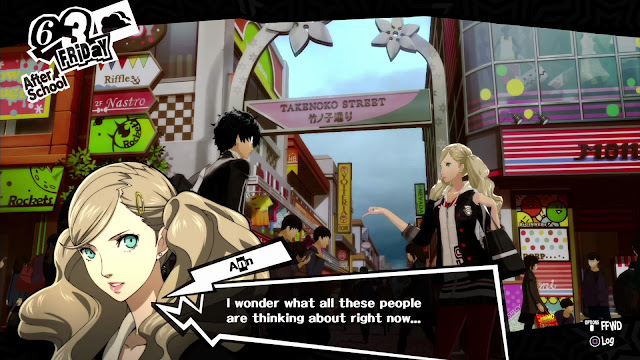 In the games, personas are spirit-like beings that can be collected, summoned, and fused to create new ones. They’re also manifestations of religious and mythological imagery upon which Jung’s archetypes are heavily based. They’re fragments of the collective unconscious brought to the surface, to form some part of the protagonist’s being. As you play each game, you meet many different personas, swapping them in and out as necessary. As the protagonist grows, in the sense of both narrative and RPG levelling up, you gain access to new, different, stronger personas. Environmental factors and events determine what personas are useful, right down to elemental affinities and the skills that are most helpful at a given point in the game. You use each persona for a while, then discard or fuse them as your needs change and the existing ones lose their usefulness. In terms of gameplay, it’s all about getting stronger and being better equipped for the challenges ahead. You want the highest stats, the most useful skill sets, the most versatile party. Many personas are forgotten about, since you can only ever hold a limited number at a time, but none are ever lost. 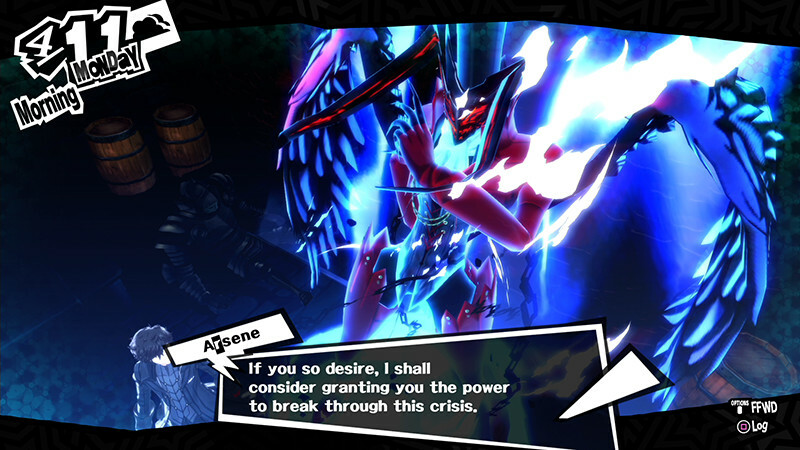 The Velvet Room is home to a Persona Compendium, where previously-used personas can be summoned again as necessary (for a fee). Necessary is a strange thing, too, because it’s not just about the personas that are the strongest or the “best”. You might find yourself summoning those that you haven’t used for dozens of hours or levels, because they’re a key component of a fusion you want to try, or because you need them for some quest. Personas are forgotten, but never lost. In any RPG, levelling and related mechanics are something of a metaphor for self-actualisation, as you strive for self-improvement and try to attain your “best”, ideal self. With the Velvet Room, Persona takes that a few steps further with by employing Jungian motifs. The whole process of persona management is symbolic of the integration of the conscious and the unconscious playing out in the protagonist’s psyche. Archetypal images, born of the collective unconscious, are integrated into the player character’s personal unconscious as necessary, only to be forgotten (but never lost) as the character grows and environmental needs change. The Velvet Room is the place where all this happens. It’s where the protagonists try on different masks, change them, fuse them, forget about them and then remember them again, all in an effort to figure out who they are and what their place is in the world.